Passwords, and the users who apply their own passwords, are often the weakest link in any security infrastructure. From using simple, easily cracked passwords to the classic step of writing them down on a sticky note, getting your users to adhere to stronger password policies will go a long way toward protecting your organization. 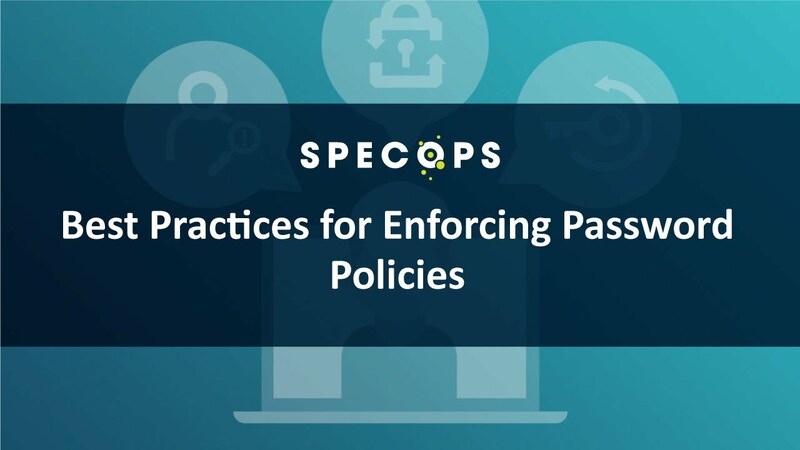 During this editorial webcast, experts from Redmond magazine and Specops will discuss best practices for ensuring passwords are indeed protecting your organization’s digital assets and steps you can take to make your password policies as effective as possible. You’ll come away from this webcast with actionable tactics you can put into place right away to enhance your password strength.